Campground Collection is hand crafted using european poplar wood with non toxic finishes and hardwood construction. 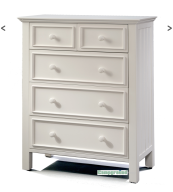 All drawers are hand dove-tailed and feature solid wood drawer bottoms and full extension european ball bearing glides. 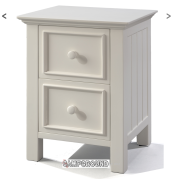 The entire collection is available in winter white, navy blue and espresso finishes.